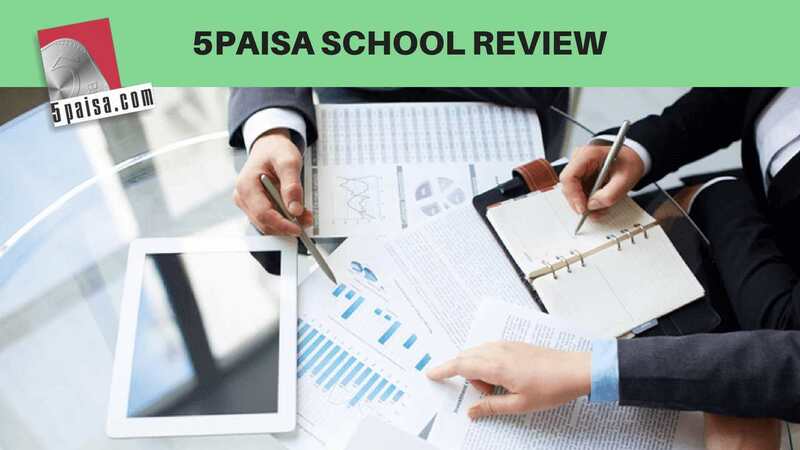 5Paisa School Review for 2018 | Modules | How Good or Bad is it? 5Paisa School is an online stock market education portal offered by the discount broker. As part of this portal, the broker provides various modules that can assist beginner level traders in terms of stock market awareness and theoretical level understanding of trading. This education portal is in direct competition to what is provided by other stockbrokers such as Zerodha Varsity. In this review, we will have a quick look at the various modules offered in this module and see whether it adds value to your trading skills or not. The first discount stockbroker in India to be listed on the stock market, bringing in the must required trust factor. one of the very few discount stockbrokers that offer free research tips and research to its clients, assisting in the initial handholding beginner level traders need. To add to this list, 5Paisa recently introduced Free online stockmarket education portal called 5P School or 5Paisa School. Users at different phases of their trading life-cycle can learn from the different modules offered in this portal. The best part of 5Paisa School is that it not only contains text-based articles and modules but there are other formats such as Video tutorials, Stock market Glossary, trading articles and so on. We will be looking at all these different modules, specific topics discussed to go along with pros and cons of going through this portal for your learning needs. We will advise you to go through this article piece in length and see which particular topics excite you enough and then you may decide to check out those topics at the 5Paisa School portal itself. 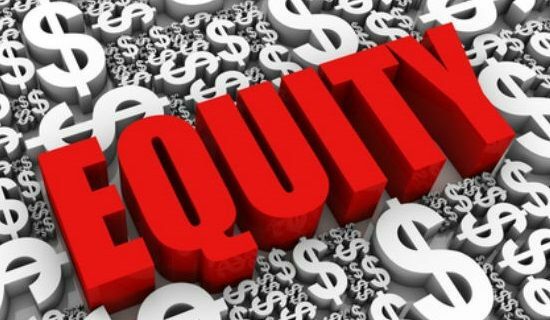 The module talks about the fundamentals of Equity trading and how to trade in the stock market in this trading segment. Then the module goes in length to talk about the basics of fundamental analysis, helping investors on how to go about long-term investments. This includes reading different financial statements, ratios and other important entities related to stock market investing. Learn about the basics of the stock market, different types of stockbrokers, market regulators who keep everything in check and other market participants that you will deal with directly or indirectly while you trade. The chapter talks about the two types of markets available for trading – Primary market and secondary market. Here the content goes deeper into the aspects of how and when do the traders invest in these different markets. More basics are discussed here where different types of stocks are discussed and what are the specific metrics you can monitor that are associated with a stock purchase. If you are someone who is looking to invest in a stock for a longer period of time, then you need to understand the intrinsics of how the stock company’s business works, its financials, competition, performance, industry ecosystem and so on. All of that is discussed in this topic. There are 20+ ratio metrics that help you to understand how a particular company has been performing with its inclination towards providing value to its shareholders. This simple topic talks about some of the basic concepts of different actions corporate companies take while they are listed in an index. The ‘Technical Analysis’ module talks about the basics of performing technical analysis in order to make a profit in your short-term or intra-day trading style. This includes a lot of aspects such as understanding different types of charts in and out of trading platforms, analyzing patterns, using technical indicators and more. Other than that, the module tries to make sure that you do not get influenced by your emotional biases towards any industry, stock or index but keep your trades based on technical judgments only. 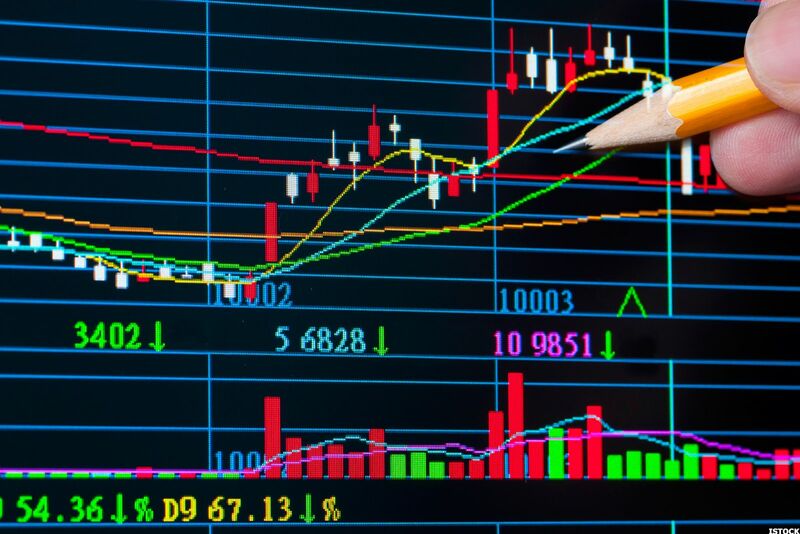 This topic talks about the basics of technical analysis and how with the use of different types of charts, indicators, patterns can assist in forecasting the near future performance of a particular stock. At the onset, there are three types of charts including line, bar & candlestick charts but by time, a lot of new chart types have evolved. Such charts help in getting a graphical representation of different stocks over a period of time. This topic talks about these charts and the optimal ways to use the same. Trend lines give an idea of a positive or a negative slope of an index, stock or any other investment class. This is helpful to understand in order to get a high-level idea of overall past performance. Support and Resistance provide natural boundaries of a stock’s performance based on its supply and demand in the market due to various factors. Not just the price movement, but also the way the volume of different stocks move up and down is an important metric to monitor. This topic talks about ways to analyze different stocks from a volume’s perspective and its impact on its market performance. There are various types of candlestick patterns that assist in studying the effect on the stock price movements in one of the most objective ways. Learn about forecasting stock’s performance and its trends by learning different chart patterns. If you are a technical analyst or want to place trades based on detailed technical analysis then, technical indicators are your closest friends. This particular topic talks about different technical indicators and how & when to use each of these. This topic from 5Paisa School shows the dark side of technical indicators and other entities related to technical analysis. For instance, if indicators are used in isolation, they can be confusing – thus, there is a need to use some other entity to validate your analysis. This is what you learn while going through this particular topic. This module digs a bit deeper into technical analysis and ways to perform it. To cater to that, this module talks about different types of candlestick patterns and some of the techniques & methodologies around the concept. If you enable yourself in this technique, you can surely ripe reasonable profits in the stock market as candlestick patterns are a proven and tested methodology used by various traders. Learn the basics of candlestick charts, their types, what they do, how they help in your analysis and more on this topic. By going through this, you will enable yourself towards understanding the different aspects related to candlestick charts, different price types, what they mean at different points in time. A relatively advanced topic where 5Paisa School dives into the different patterns related to candlesticks and what do they imply at down as well as uptrends. This module is an advanced version of performing technical analysis by using various break-out chart patterns. You will be provided detailed information on the two types of such patterns namely – continuation and reversal chart patterns. You will also be guided on how to calculate the target price of the stocks you are trading in the stock market using these patterns. This, in a way, rules out any subjective biases out of the window. Another advanced topic for detailed technical analysis. The module talks about the concept and usage of mutual funds for your investments. The topics include SIPs, SWPs, STPs and the best way to utilize these entities. Since mutual funds are such a vast investment class with a range of options to choose from and to add to that, mutual fund investments are generally for a relatively longer duration – it makes sense to understand the mutual fund selection process. This particular module talks at length about this process and in fact, guides you on how to monitor your mutual fund investments. A mutual fund is a collection of funds obtained from investors and then those are invested with managed return objectives. This topic talks about various aspects related to mutual funds such as NAV (Net Asset Value), risk diversification, fund types and what kinds suit you the best. How does Mutual Funds work? Want to be a little technical with your mutual fund investments? Go through this chapter from 5Paisa School to know different entities related to mutual funds, how those work together and which parties are involved in the overall process. SIP or Systematic investment plan is one of the ways to invest in mutual funds that allow you to invest a specific amount after a pre-defined duration on a regular basis. This chapter talks about how to start a SIP, techniques to reduce volatility etc. SWP is something exactly opposite to SIP where the former implies regular withdrawals, the latter talks about regular investments as mentioned above. This type of plan is a fit flexible that allows you to invest lump sum amounts and even transfer those funds at any point in time to other types of plans. Learn at length on how actually you can go ahead and invest in mutual funds through this chapter. Go through this quick checklist, before you go ahead towards investing in mutual funds with your hard-earned capital. Figure out your investment objective and risk appetite and then based on that, you can learn on how to go about selecting different mutual funds for your investments. Taxes are something you cannot get away from, as far as you are earning money legitimately. Learn how are different taxes employed over your earnings from mutual fund investments. 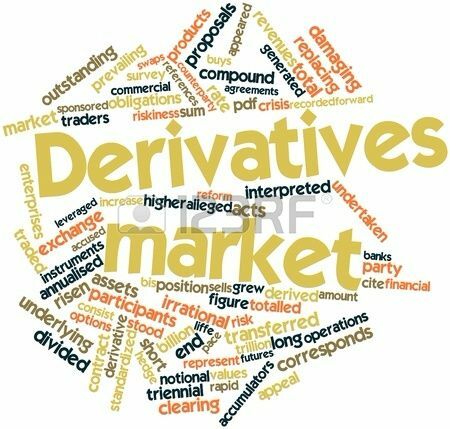 In this module, 5Paisa School talks about different types of derivative products such as Futures, Forwards, and options. Furthermore, the module talks about different option strategies along with relevant examples in order to make the whole learning process easier. Learn the basics of this investment class type and how you can go ahead with your trades in the derivatives segment, corresponding return expectations, risks etc. Understand the different types of derivative classes in this chapter here and how are these suited to your investment objectives. Futures in one type of derivatives class and this topic by 5Paisa School takes you at depth when it comes to understanding how it works. Another advanced topic which is highly helpful for trades putting their money into derivatives class. Like Futures, Options is another derivatives trading segment and you can learn in-depth about the way it works in this chapter from 5Paisa School. This module talks at length about a trader’s psychology when he or she is trading through their analysis or subjective biases etc. Furthermore, the module digs into specific biases such as emotions, greed, impatience, false hopes and so on. Such emotions are faced by every trader at one point in time or another. Its all about how you pass through such biases and place your trades without any subjectivity. 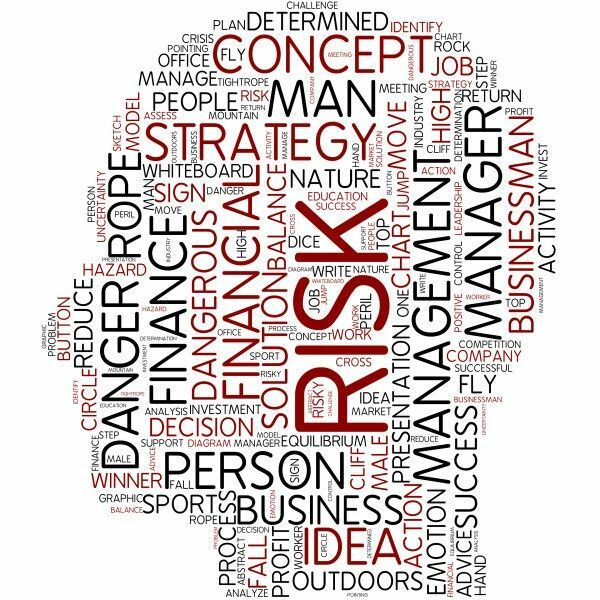 How does Trading Psychology work? Heading into advanced trading mechanisms, this topic talks about how different traders think at different stages along with giving you an idea on what to think and what not to, while you place your trades in the stock market. Among all the subjective biases that negate all the objectivity of a trader’s market analysis, confirmation bias is the most dangerous one to your capital. Learn more about how it works and how to avoid it in this chapter. This concept is important to learn as traders might think that one win has an impact on the other while this chapter goes in length and removes all such assumptions with relevant real-life examples. Again, this type of bias leads to one way thinking without letting other ideas cross your mind. You seem to think in an exaggerated manner under this bias leading you to think in an irrational manner that can have potential hazards on your trades. Read this chapter to understand how it gets to your head and how you can avoid it. When you start placing your trades faced on the fact that other traders are doing the same, then you are just following the herd. Learn about this concept of the bandwagon effect in this chapter. Be a stand-out trader by learning how you can overcome subjective biases in your trades and be completely objective with detailed analysis by going through this chapter from 5Paisa School. More usage of real-life examples can make the learning process way easier and relatable. Suits all kinds of traders at beginner, intermediate or expert level. Videos on different other topics only help the cause. Content gets added and updated on a regular basis. Looking to get a Callback from 5Paisa? Just provide your details in the form below and a callback will be arranged for you! This post is truly a nice one it assists new net viewers, who are wishing for blogging.